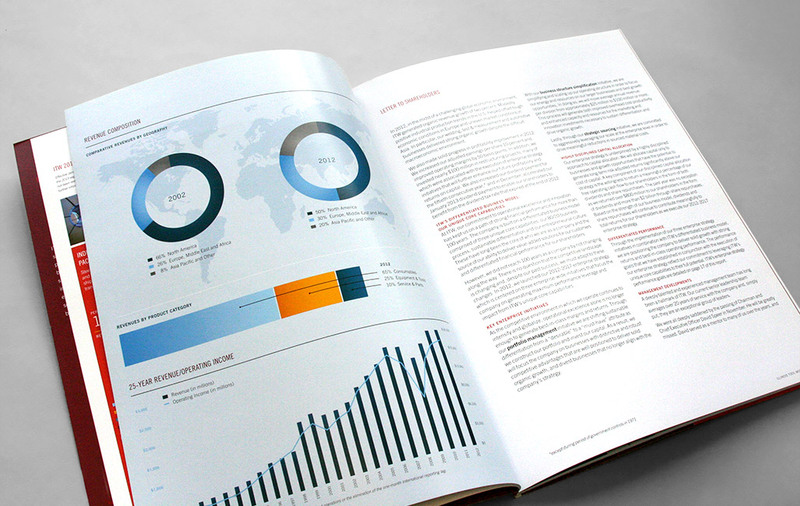 In 2012, Illinois Tool Works, the global manufacturing giant, announced significant organizational changes that impacted its global business structure, financial performance and operations. 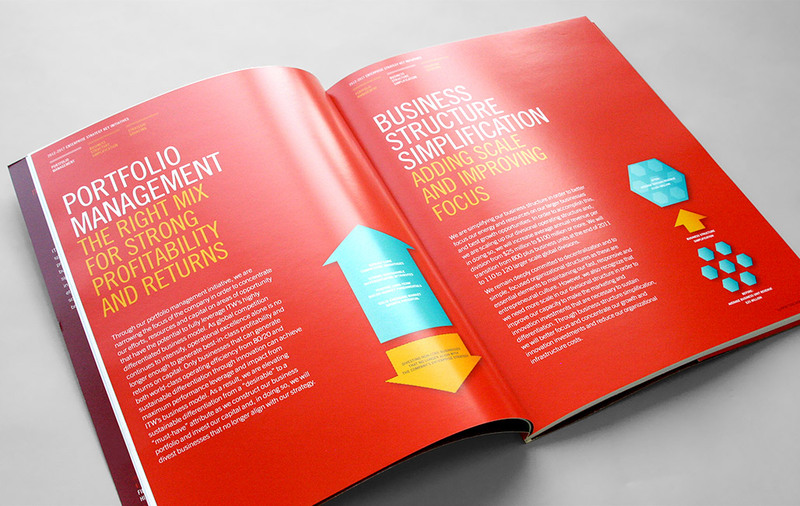 For the annual report, Smith balanced the need to convey that the core ITW business model was not changing, while ensuring that the new enterprise-wide strategy’s complex initiatives were clearly communicated. 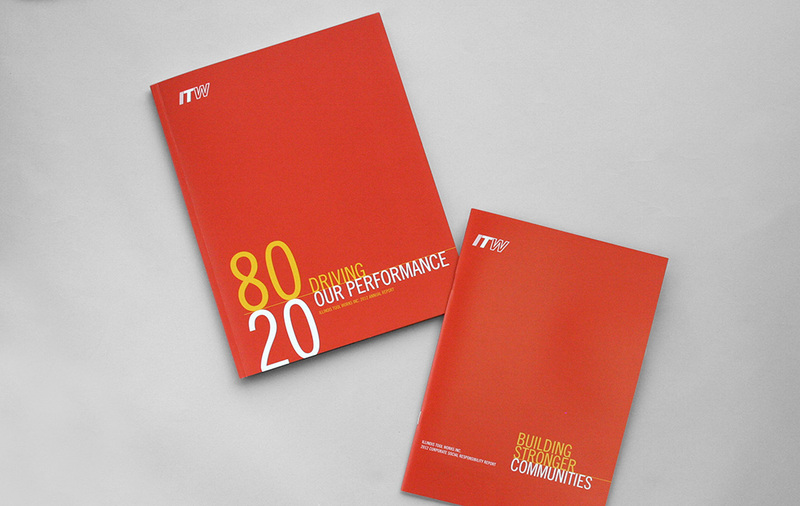 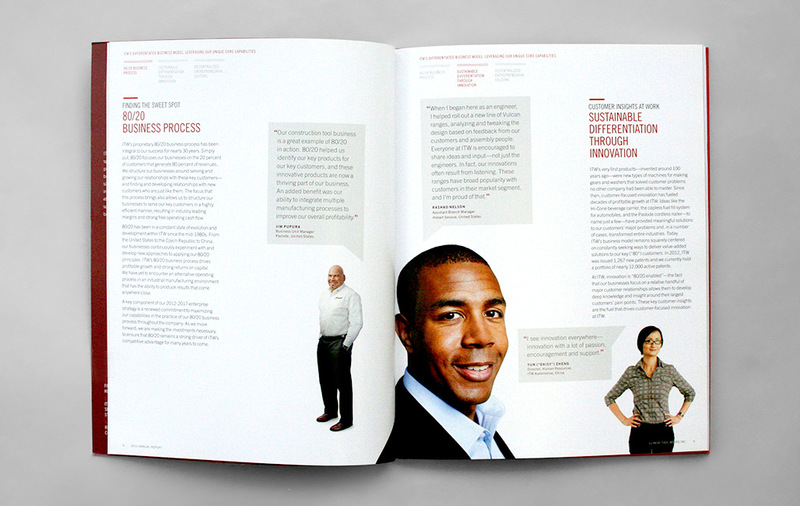 The annual report design and writing were honored with award-winning marks.